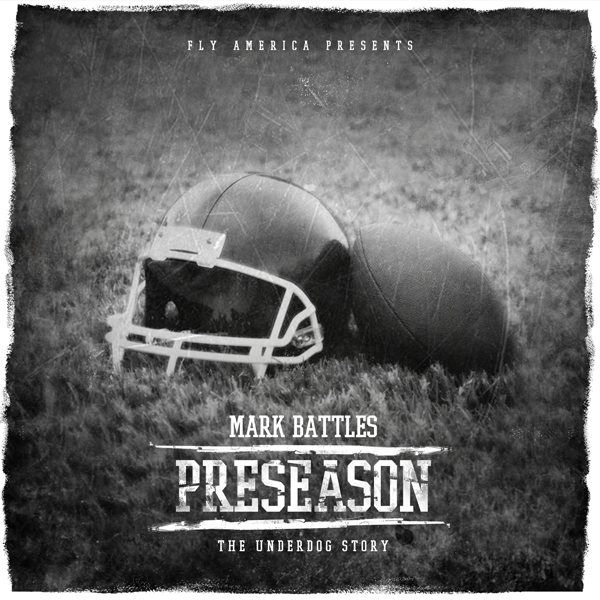 Mark Battles is surprising fans (well, not a surprise anymore) with a new mixtape today, PreSeason, hinting to us that this is just his warm-up phase. The new mixtape arrives shortly after news that he's working on a collabo album with Dizzy Wright and Euroz, so there will be no lack of Battles this summer. You can find Mark's Fly America signee Derek Luh on the new project, as well as Curren$y and Chris Webby. Production is predominantly handled by J-Cuse. If you're a fan of Battles, head over to iTunes to purchase the new tape.